Have you ever committed to doing something, but the closer the commitment came every obstacle imaginable happens to prevent you from keeping your word? You feel a cold forming, the kids are misbehaving, your commitment is at the same time as Empire lol, and the weather is not cooperating. Nevertheless, you have a decision to make. 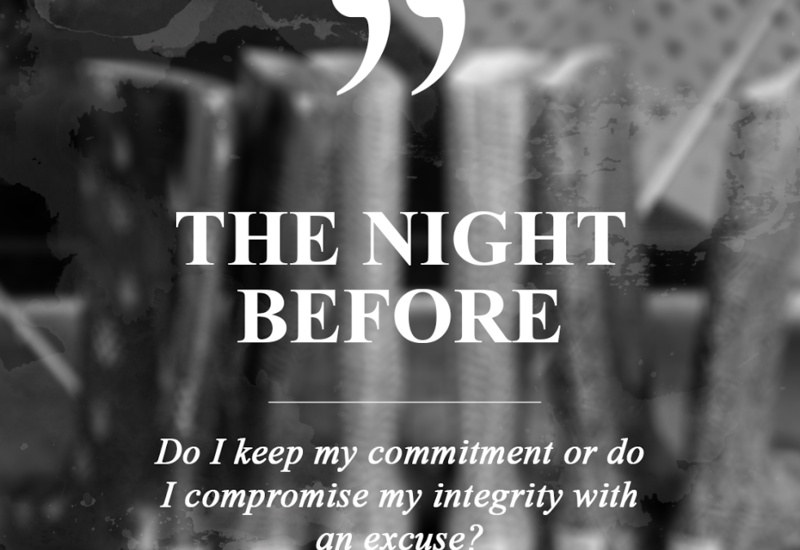 Do I keep my commitment or do I compromise my integrity with an excuse? Cold, rainy, and a possibility of snow showers are the reports on every news channel as I prepared for my weekend. Wait! This is April the first and the weather has been in the high sixties and mid seventies so what do you mean a cold front is coming? Not when I have just signed up to participate in a 5k for domestic violence! I began to think, and no, my thinking was not about what I was going to wear as I braved through the rain. All I could think about was, “DeeDee, how are you going to get out of this?” Everyone knows that I have committed myself to advocating for domestic violence victims. For weeks, I have been pushing participating in this walk at church. Oh and not to mention, Angela Alsobrooke, the State’s Attorney, is expecting to see me because I said I would be there. All that in mind, but I’m telling you, the negative weather reports became a hindrance to my excitement and commitment. As I continued to ponder all the negatives, I said “Well, there is nothing you can do about it now so get some rest and be on time.” Off to sleep I went believing God would send that cold front as far as the east is from the west. I arose the next morning to the beating of raindrops on my roof top. Nooo!! All I could think of is how again to get out of this. God I know they see this down pouring of rain so they have to cancel where my continual thoughts. I waited. No call of cancellation? Are you serious? The State’s Attorney has my cell number. Surely she would have called or texted by now. At this point I knew I needed to change my focus so that I could keep my word. I began to praise and worship God just for another day. I can’t put my finger on the actual moment I shifted but I did! There is nothing like a bit of praise and worship to God to shift an atmosphere. The rain didn’t stop but my exchange with my Father gave perspective and encouragement. I was excited about getting dressed to go. The gate rung and four of my girls were there to pick me up. We laughed the whole way there talking about how we all felt when we saw this rain. You know in life you will go through some things that you have personally signed up for but you have no idea what it would be the way it is such as: school, job, kids and marriage. If all of the details would have been made known before entering in, just think, you may have forfeited the opportunity along with the pleasures at the end. I have this saying “No Quitting Allowed”. I say this all the time and tell other women that you can’t quit no matter what may come your way! This was another level of accountability for me. When you put a word out there you must live up to it! Often times we think it’s ok to not keep our word but someone else is depending on you to do what you said you were going to do! Can you imagine if I didn’t attend this walk? 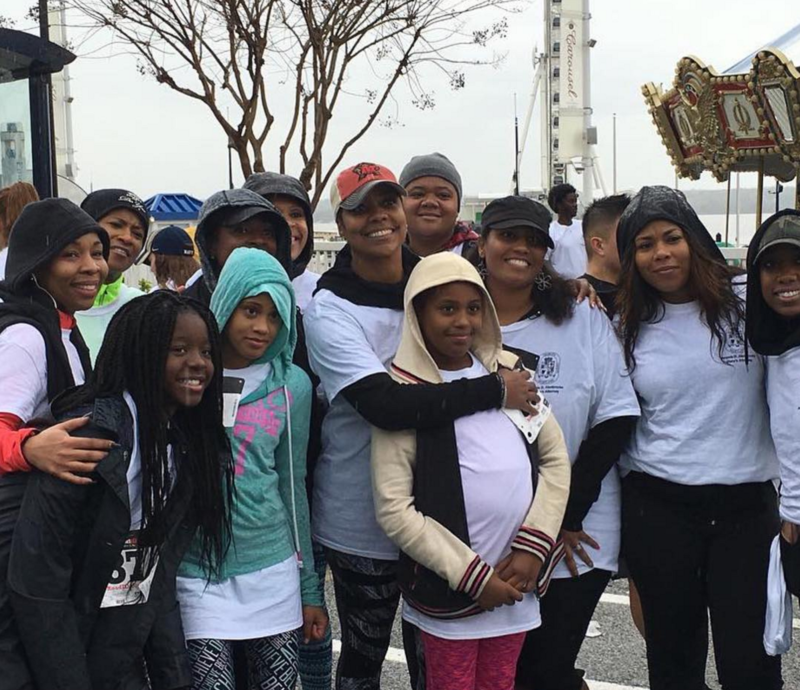 Undoubtedly, some ladies would’ve felt discouraged about Dee’s House of Hope; they would’ve felt like I didn’t care, possibly like I would just quit at the sign of discomfort. No matter where you are in life someone is watching your every move, depending on you to pull through! Why do you think it’s ok for us not to keep our word but we want God to keep His word! “for thou hast magnified thy word above all thy name.” (Psalm 138:2b) God exalts His Word to you above Himself! I’m amazed how much God loves us; He told us that in this life we would experience trials and tribulations but be of good cheer because He has overcome the world! (John 16:33) Now we have no choice but to be prepared! So, grab your rain boots and your big coats! Let’s go dance in the rain! This blog was awesome and more than a BLESSING, Keep sending them , such a blessing. My God! What a powerful word today Dr Dee Dee,The word cut me deep this morning! I confess I certainly have made excuses.. But today I repent! I will to do better because my desire is to please God and want him to be pleased with my life. I must say today this word have given me the strength and excitement to push through the spirit of complacency. Thank You for your obedience to follow through on all levels. Much Love! Awesome message just experience the same thing today. I had committed to one thing and then committed to another, and was torn which to do, but Thank God He worked it out and able to keep both commitments. Thank you so much for the push, and sharing your moment of praise that is a great example and something to keep in mind to use as an weapon against sabotage. Thanks again for the reminder of praise!! Thank you for sharing, I have found myself a commitment and wanting to get out of it, but I have to remember that my word is my bond. Also I think about the word that I have been taught by you and Pastor Mike to keep my promise/commitments, otherwise don’t make commitments that you can’t keep. Wonderful words of encouragement! Your personal testimonies are AWESOME. I NEEDED this! Serious check for me. THANK YOU! Your transparency has yet again streched me to grow! Greetings Dr. DeeDee, this blog is such a blessing to me. I committed to assisting, set up and hosting a bridal shower and wedding this weeknd. I woke up this am thinking how am I going to get through all of it and today is only Monday. My boots and heavy jacket are on and I rejoice with my sister in Christ on her covenant partnership. I’m ready, willing and able to give my best! Your words brought me life, I appreciate you! Dr.Dee Dee Thank you, Our word is our bond.I think we forget it’s a reflection of our integrity. I love the blog and your radiant smile. Thank you for reminding me of how I expect God to keep his word, so why wouldn’t I keep mine no matter how uncomfortable things may get. Please keep sending the blogs. 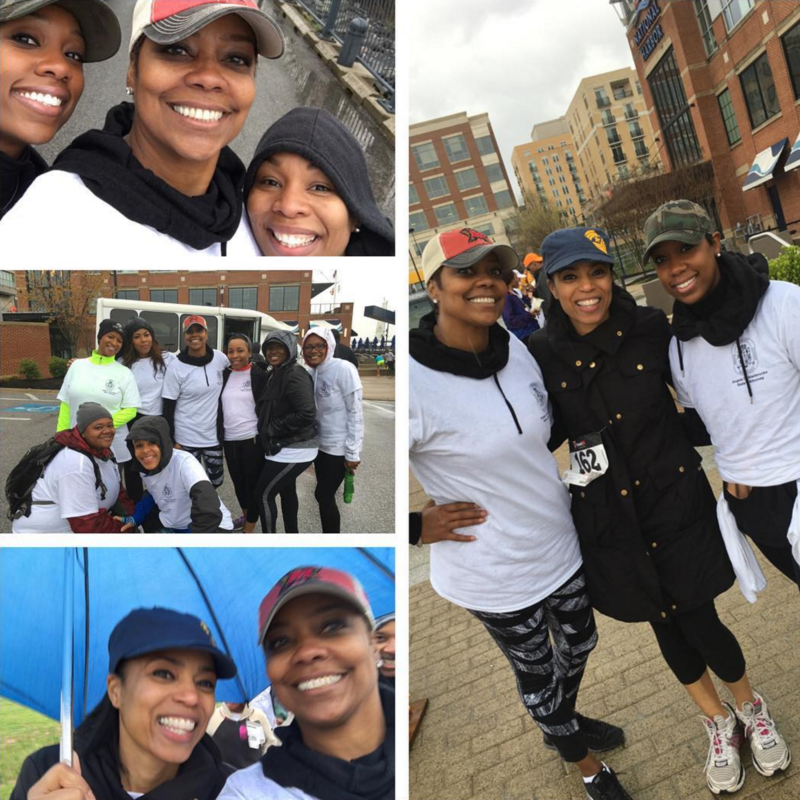 You can not put a price on loving, supporting,encouraging and serving others Dr. DeeDee keep up the good work God is smiling on you!!! This blessed my socks off this morning..
Said that I was going to start a particular journey today and bailed this morning because I felt to tired , didn’t feel like doing it again, he understands and my list goes on and on :(, this word just caused a shift in my spirit. Thanks Dr. DeeDee you always have an on time word. I will adopt your saying ” No Quitting Allowed”. Stay the course run the race! Be blessed!!! Yes, ma’am our WORD and ACCOUNTABILITY are NO appetizers. I’ve discovered that those two are the MAIN course, especially when our goal is to draw others to Christ! People have grown accustomed to NOT honoring their WORD it means NOTHING to recall our commitment! I challenge myself with WWJD or what if Jesus just said FORGET the cross! I needed to hear this Dr. Dee Dee! Reinforce our commitments our words are honorable! Thank you for marching for the cause!!! This means so much and we are accountable to each other to raise awareness in spite of our circumstances! You are our champion Dr. Dee Dee! I don’t know why I thought I was the only one who really felt like that at times. This lets me know that I’m not alone and I have to continue to push through those feelings, because its not always about how I feel. I really appreciate reading your blogs. Not only the blogs but listening and following you as my Spiritual Mother. You have no idea the impact you have on my life. I thank you so much for being you. I just Grew Up a little more:) Thanks Dr.Dee Dee! Thank you Dr. Dee Dee, once again reading your blog has strengthen me as I go through my trial and tribulation at this time. I pray that GOD will continue to keep you as you continue to love upon us so that it will keep me to continue his journey his has prepared for me. Stay Blessed. Yes this is so true. Initially we don’t think things will be a nice or we will get the end result we desire because it looks gloomy or less than what we think is perfect. But God showed up and showed out! Thank you for sharing Dr. Dee Dee! Thanks for sharing, your blogs each week allows me to start my week of being inspired. Thank you Dr. DEE for being transparent and real thank you for sharing these life lessons it’s impacting my life. You are a wonderful blessing. I’m laying here in bed, clearing my emails for today,and saying Lord after the events of the past 24 hours, where do I go from here? Then I saw your blog and read. Thank you so much for sharing. I’m going to bed now feeling that there is still hope and I can press on! Your Word is your bound! Awesome reminder. Great word of wisdom. Today is a new day to get this right going forward. Well I am seeing this on Tuesday morning, and if it’s not one thing it’s 50! My family is depending on me and today my 15 year-old needs her mom so when our hearts are overwhelmed, lead us to the rock that higher than I! Thanks Dr. Dee Dee!! It’s always a blessing to hear from you Dr. Dee-Dee. “I’m going to live each day as if it’s a miracle “. (Miracles From Heaven ) I’m going to keep my word too. We have what we say!🎁🎀🎉 You are a gift to the Body of Christ. I needed this during my academic journey. With you I can enjoy the journey & not dread the destination. Thank you Dr. Dee Dee! This was a reminder to me to be more aware of keeping my word once given!! I know this story will quickly come to my remberance the very next time I find myself in this situation. I will praise my way thru and shift the atmosphere. No grumbling or complaining. Thank you again for sharing!